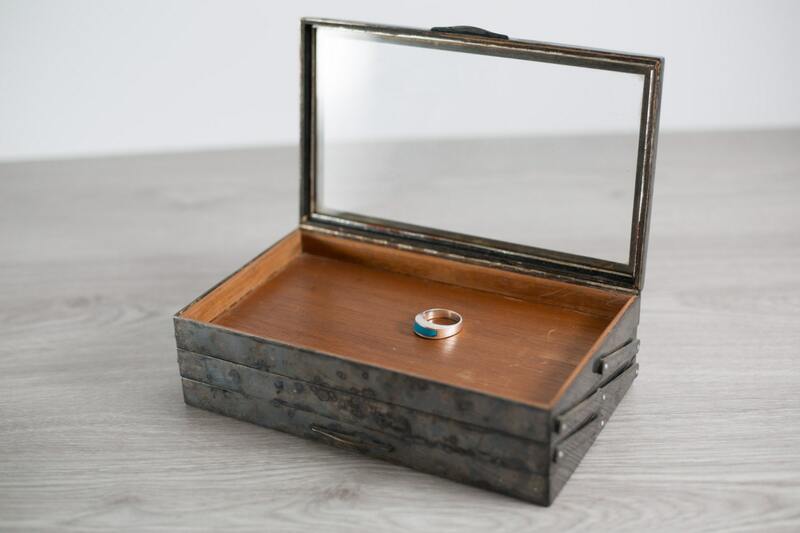 Antique Jewelry Box or Humidor / Silver, Wood and Glass 3-tiered Jewelry Box for rings, necklaces, cigars, etc. 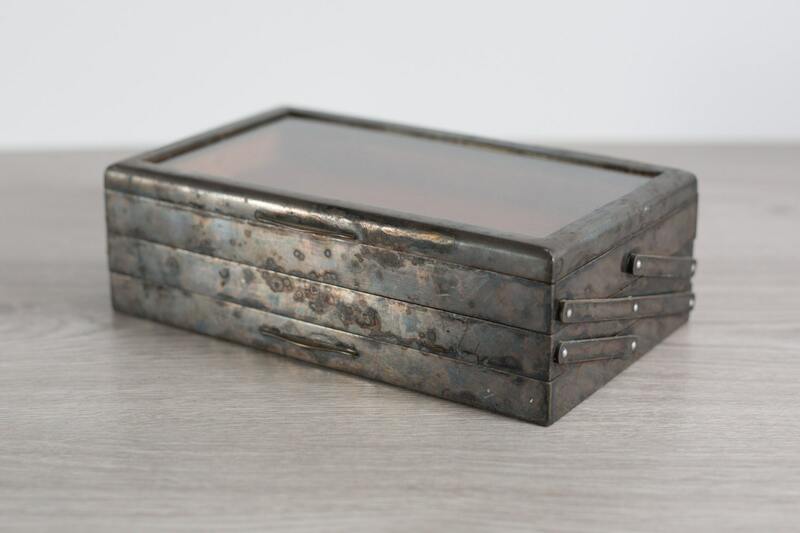 This is a very rare and incredibly unique silver 3-tiered wood and silver jewelry box with a glass top. 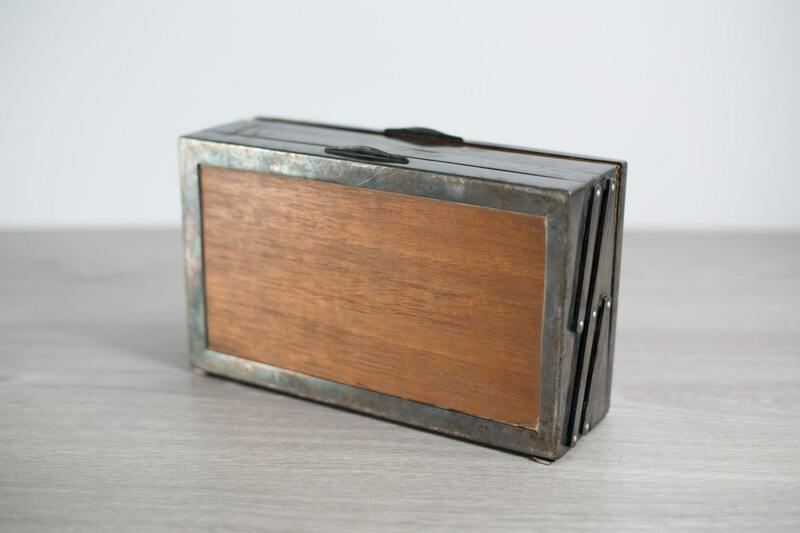 It is in working condition and has working rotating clasps on the sides. 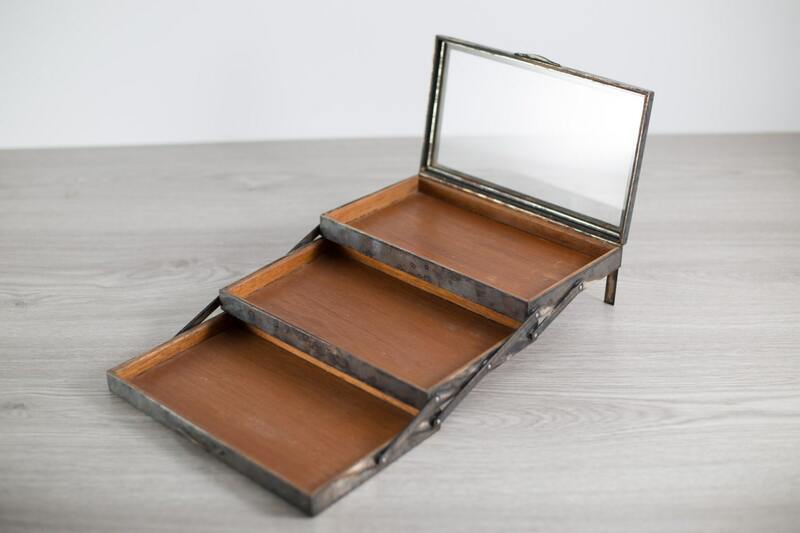 It could also be a humidor for storing cigars. Great working condition. 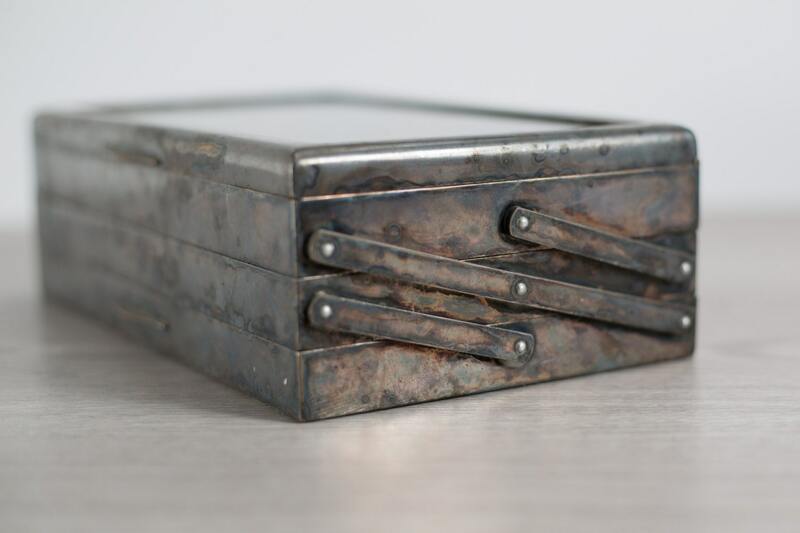 Silver has beautiful patina. Please see photos.